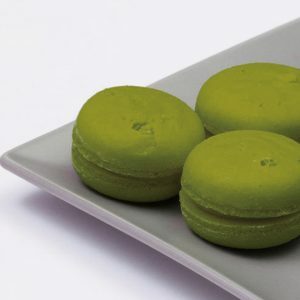 Macaron’s origins are not clear, but it may have been brought to France from Italy as early as 1533. Macarons gained fame in 1792 when two nuns baked and sold them. 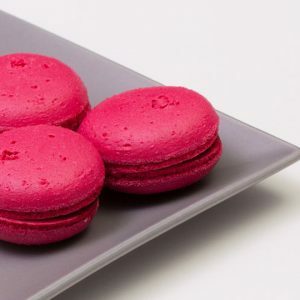 Their macarons were a simple combination of ground almonds, egg whites, and sugar. No special flavors. No filling. Just 100% cookie. It wasn’t until the 1900s until the idea to take the two cookies and fill them with ganache happened. 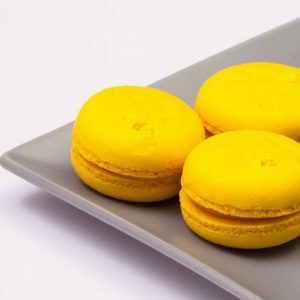 No longer being just a almond cookie, macarons turned into a deliciously flavored treat with a light cookie crust and a layer of moist almond meringue following by a center of silky smooth filling.